Christine Ogilvie Hendren is Assistant Research Professor of Civil and Environmental Engineering as well as Executive Director and Research Scientist at the Center for the Environmental Implications of Nanotechnology (CEINT). 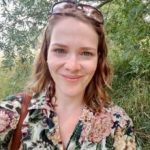 Since 2017, she has led a Bass Connections project team, DECIPHER, whose members work to understand and evaluate complex public health and environmental risk scenarios. Moving from the story of fluorinated chemicals to case studies in drinking water quality, the team has assessed decision-making from the perspectives of scientists and engineers, healthcare providers, legal and regulatory agencies and members of the public, as well as economic and cultural stakeholders across fields and interests. Next year will bring a focus on the risks and benefits of geoengineering the climate. 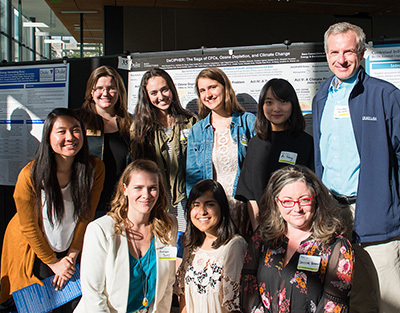 Hendren is involved in other interdisciplinary collaborations across campus. She received two Intellectual Community Planning Grants in 2018—one to lead the Duke Extracellular Vesicle Network, (DEVNet) and another to take part in the Duke Project on Risk and Resilience. She is also providing assistance to the first cohort of Collaboratory grantees on best practices in collaborative research. Below are excerpts from Hendren’s remarks at a Bass Connections orientation for new team leaders. 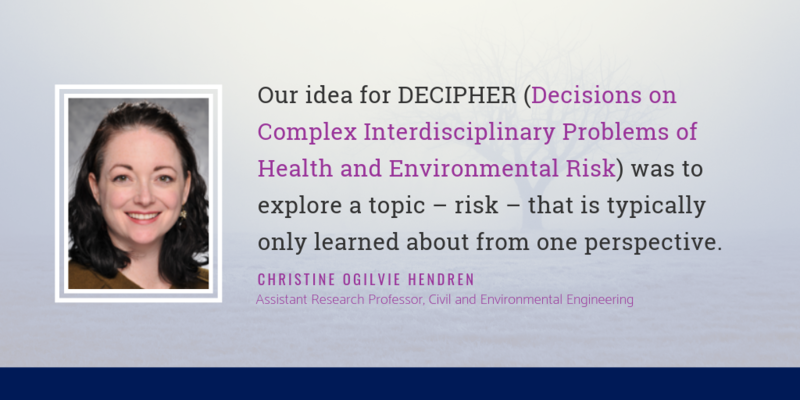 Our idea for DECIPHER (which stands for Decisions on Complex Interdisciplinary Problems of Health and Environmental Risk) was to explore a topic – risk – that is typically only learned about from one perspective. Even if you think you’re being interdisciplinary about risk, you’re often only considering engineering and policy, and you might not be looking at the problem through other lenses that really should inform risk-based decision making, including key insights from the humanities. In the first year (2017-2018), our case study was the story of refrigerants (CFCs), ozone depletion and climate change. When creating the team, we decided that we needed perspectives from technology, we needed policy makers and stakeholders, we needed to question what it even means to say something with certainty, and we needed to have people holistically look at a problem and dissect it without the benefit of hindsight. We needed people to be able to grasp the larger issues to describe the “why” behind problems, with the idea that an understanding of how previous decisions proliferated risks we would have liked to avoid can provide insight for better current and future decisions. At first, we thought we were going to create kind of an analog to Harvard Business case studies and our approach would be holistic environmental decision case studies. We thought we could break these case studies down and then teach others how to teach them. Instead, our final product ended up being a very detailed infographic and more of a meta understanding of how to bring people to the point where they could have an appreciation for these other lenses. For us, success meant all the students knowing the nuts and bolts of how a decision happened, understanding there were a lot of human factors and learning what had to go into the decision-making process. One of the main things that makes our particular project work well is the sustained, diverse faculty engagement. In our case, it’s a recurring project with mostly the same faculty, but it’s all new students each time. For us, the repeated engagement of different faculty members has been really important to success, and it’s what our students reflect on the most. I see the appreciation in the students for the fact that an undergraduate elsewhere may not ever have a relationship with a professor, outside of receiving information in class. For all of us in academia, it’s very common and comfortable to do that, but it was a real learning moment about academic humility and how to work together to create an environment for the students where they could point this out. This trading of relevant expertise and vulnerable questioning between trusted colleagues is such an important part of knowledge co-creation, but it struck me that it appeared novel to some of our students and made me really think about why that is. My advice is that anything you can do to disrupt those normal power dynamics of the classroom will be helpful, whether that be going to dinner together, going to a house of a person on the team or just being openly humble about what you know and what you don’t know and how you’re creating. For the second year (2018-2019), we structured the project’s outputs to maximize those types of experiences a little bit more. We let the students break up into subgroups and each got to create its own narrative of a drinking water case. We ran the first part of the year as a boot camp where we had different experts from all different kinds of fields come in and teach the students different skills and lessons, such as how to use statistical analysis, how to understand and track the history of water treatment technologies and how to conduct a documentary-style interview. I wish I had known beforehand how important it would be to continually remind the students, particularly if you have an undergraduate heavy team, that this is not a course; it’s a research project. Students might ask us, “Is this what you wanted?” In this case though, that shouldn’t be the question. The question we have to ask [the student] is, “What do you want to do?” The feeling of not being sure you’re doing it right is the feeling of research. That feeling of uncertainty should be a teacher to the students that encourages them to ask for help or use their resources. We had said at the beginning that this is not a class, but a joint research project. Then we said it again later, but I wish we would have explicitly said it every single week and explained the implications. The other piece of advice I have is to find a project manager. We couldn’t have done any of this without our excellent project manager [Kathleen Burns, Ph.D. student in English], who has actually been with us both years and makes all of this possible. And, working on this team has really helped her formulate her dissertation topic, so it has advanced her academically, too. We elevated her to be a co-instructor now, because she really is doing the work at that level, contributing to the knowledge development, the pedagogy and serving as a touchstone for the student projects with a much higher degree of availability than the individual faculty leaders might be able to provide. I highly recommend investing a lot of your budget in a good project manager; it has made a fantastic difference. Join this Bass Connections project team on April 16 for Coal Ash, Lead, and Aging Infrastructure: Stories of North Carolina Drinking Water at Motorco Music Hall in downtown Durham. See all current initiatives in the Together Duke academic strategic plan, and learn more about Bass Connections and Intellectual Community Planning Grants.